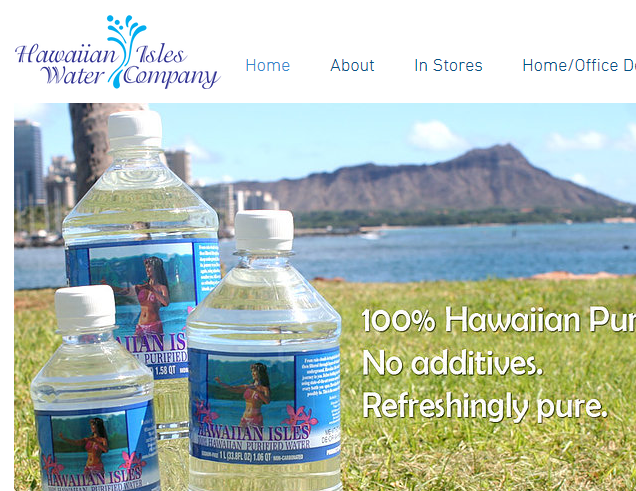 The Hawai‘i State Department of Health (DOH) has cited Hawaiian Isles Water Company for delinquent reports and payments to the Deposit Beverage Container (DBC) program from August through November 2017. The company has complied with the department’s enforcement order and paid a $14,400 administrative penalty fee and the monthly amounts owed to the state. Hawai‘i Revised Statutes §342G-105 requires beverage distributors to submit monthly distributor reports and payments to the DOH no later than the 15th calendar day of the month following the end of the payment period. Hawaiian Isles Water Company received multiple written notices reminding them of reporting and payment requirements prior to being assessed a penalty. Hawai‘i’s DBC program funds are used to recycle more than 600 million containers redeemed in the state each year. Through recycling, consumers are helping to remove beverage containers from the waste stream and reduce litter in the community. The program certifies independent recycling companies to operate Certified Redemption Centers (CRCs) statewide. CRCs provide Hawai‘i consumers with refunds of the five-cent deposit fee that is paid for eligible containers. Beverage distributors submit payments and reports to the program for all HI-5 containers sold within the state.